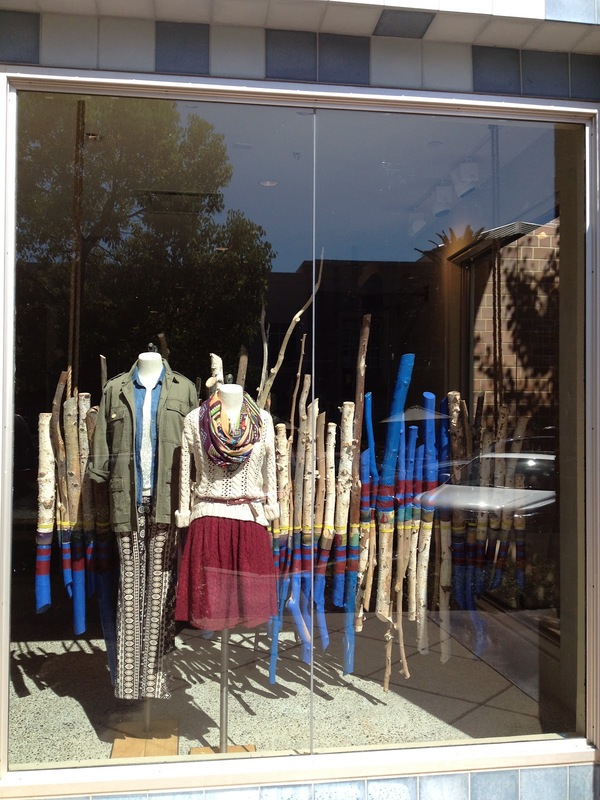 On Sunday, Sept. 9, Gianna and I went to Anthropologie in Roseville for an older girl outing. 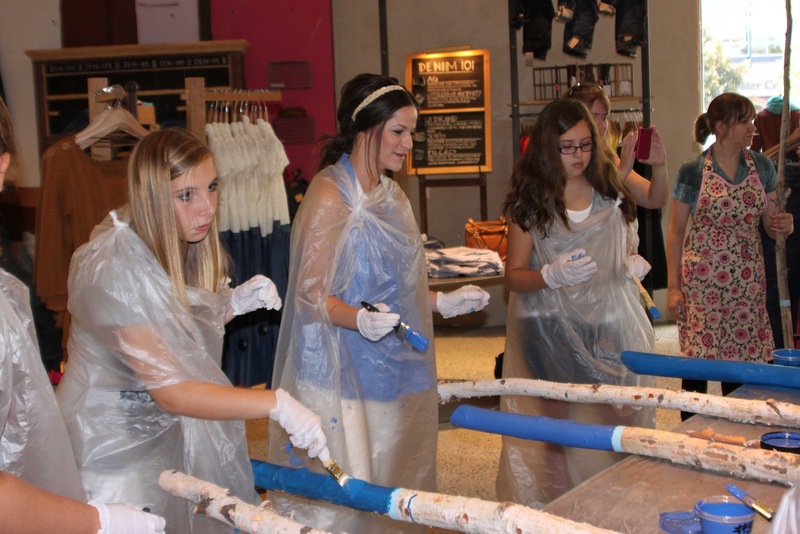 We learned about the crafty side of clothes! Not only does Anthropologie sell adorable clothes, and house ware, but they do so many DIY (Do It Yourself) projects for their different displays in the store! 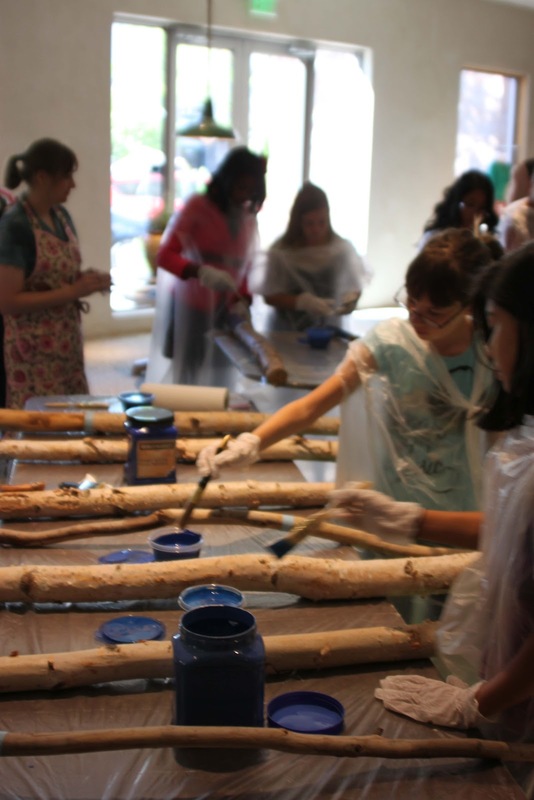 While we were there we got to paint tree logs for a new window display that Anthropologie is putting up soon. 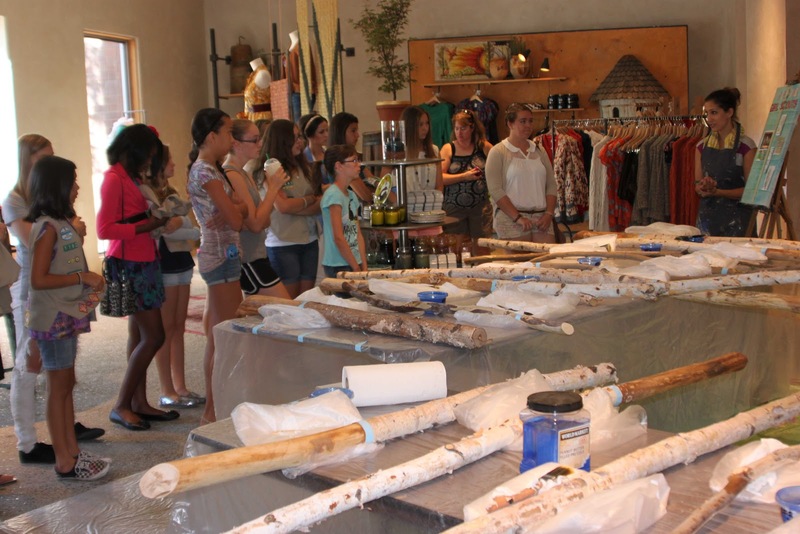 Also, we looked at all their displays, and different areas of the store, and saw how they made each one themselves. One of the displays was a paperclip piece of art, and they linked 40,000 paperclips together to make it! Wow! My favorite display was the one behind the cash register, where an artist outlined a city scape in pencil and then hammered in nails over her drawing. After, she hung string across all the nails to create a beautiful picture behind the counter. Gianna’s favorite was a chandelier made out of dyed mop heads! The artist at Anthropologie who dyed the mop heads had green hands for days when she was done! All in all, Gianna and I had such a fun time, learning, playing, painting and meeting girls from different troops during this amazing Older Girl Lounge event. 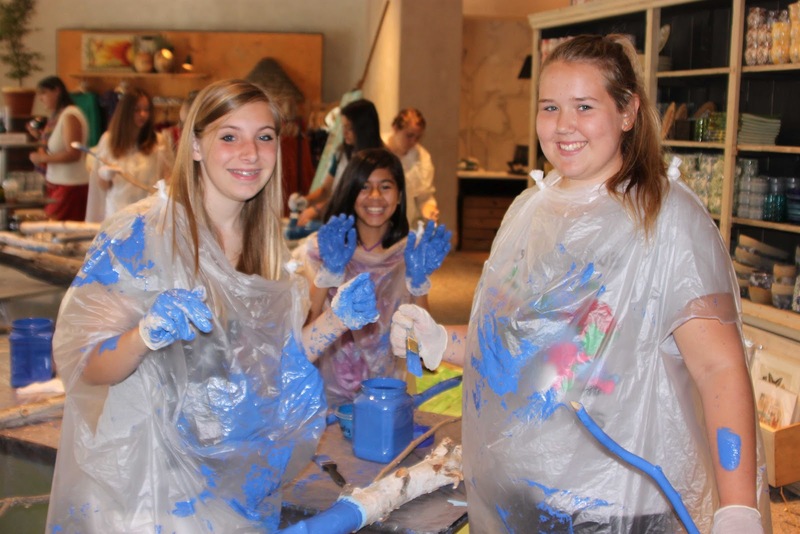 The Older Girl Lounge in the Sierra Creek and Sierra Rose service units brings together Girl Scout Cadettes, Seniors and Ambassadors (grades 6-12) for unique and fun events. Girls can sign up for events with their troops or individually. 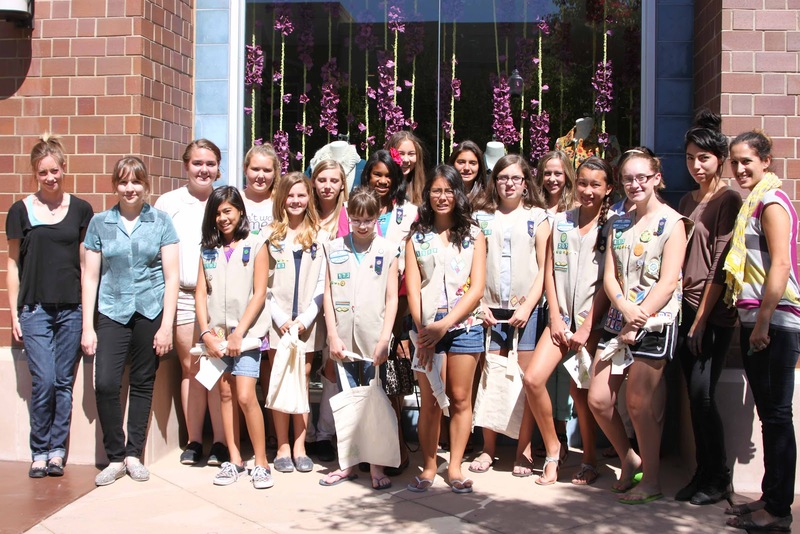 Older Girl Scouts and their parents can contact Lounge organizer and troop leader Beth Martin to find out about upcoming programs: bnrmartin@surewest.net. Looks like fun! 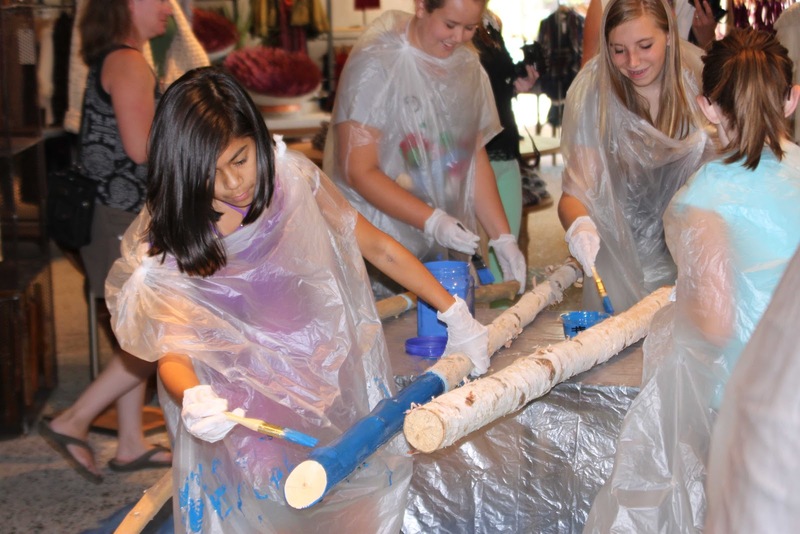 Girl Scouts from our Council participated in a workshop recently too, and I got to attend for photos – they worked on tinting rocks teal, wrapping twine to be painted and made 3D spheres for their window display. It was a lot of fun.